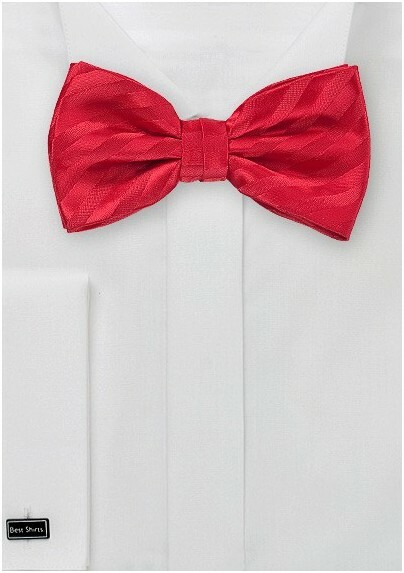 This bright red bow tie would even make Pee Wee Herman jealous. The designers at Puccini paired a bright red color with an attention-grabbing monochromatic striped design. It is the perfect piece for all your dark colored jackets. 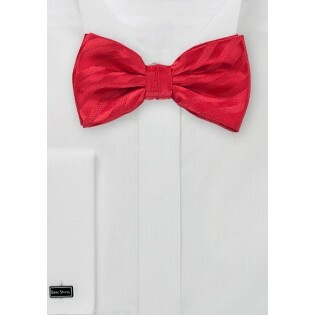 Made from microfiber as a pre-tied bow tie for convenient wear.